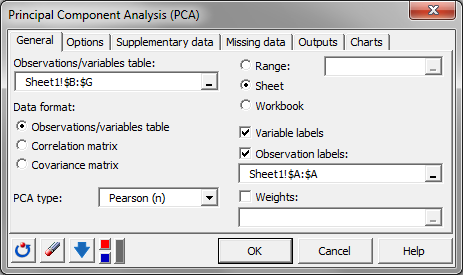 Two Excel workbooks with both the data and the results can be downloaded by clicking here. 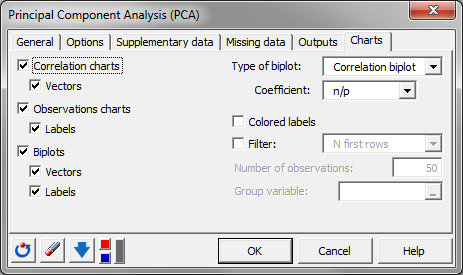 The data used is the process measurements of food samples. 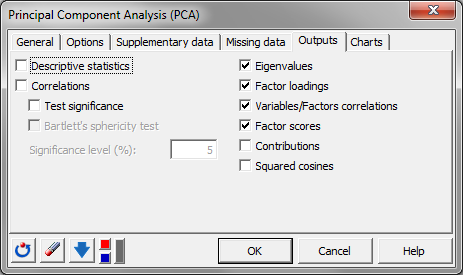 This process is usually stable so we can expect little variation. 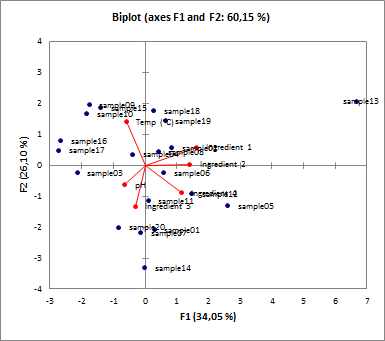 You can see that all the samples are centered tidily around the middle of the plot. 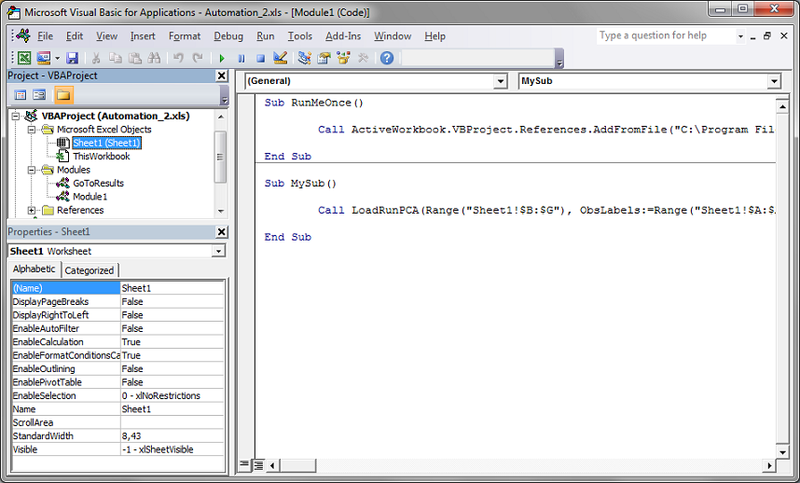 Now open the second file Automation_2.xls Press Alt+F11 together in order to launch the Visual Basic Application. 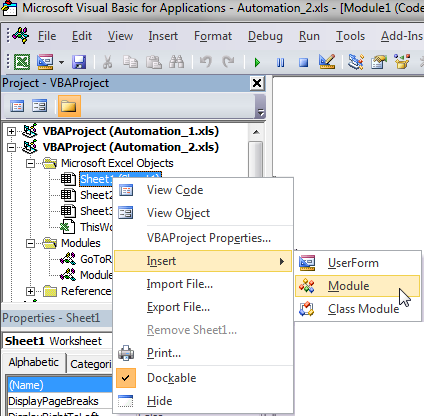 Then select Sheet1 in the folder VBAProject(Automation_2.xls) and finally right click and opt for the action Insert / Module. 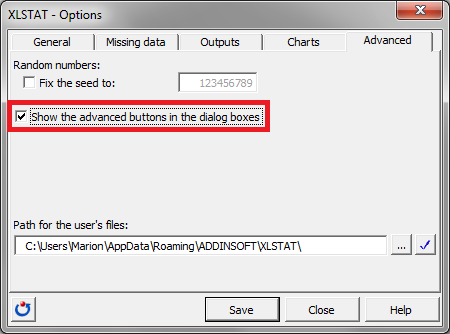 At this step you can add more codes to enable the programme to perform other actions. Go to the menu Run / Run Macro located in the menu bar. When this has been completed, run the second macro called "MySub". 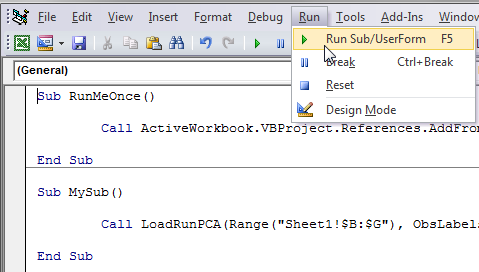 Return to the menu Run / Run Macro and this time select the macro "MySub" before pressing the button Run. 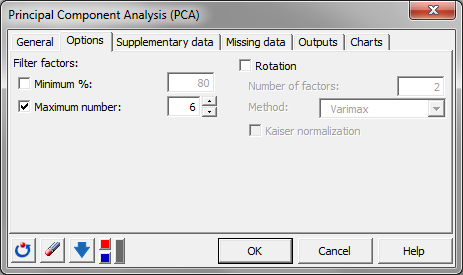 This will in turn execute the code in question and you now have a sheet "PCA" containing the results. 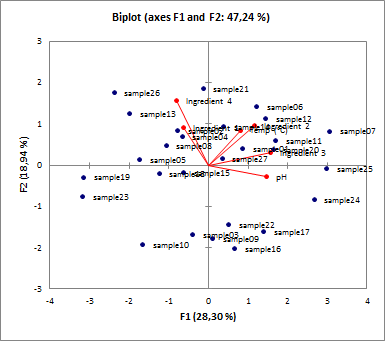 Now if we look at the biplot of the second analysis we notice that this time one of the samples seems to be further away thant the other samples. 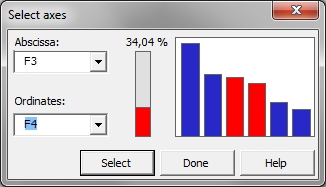 Sample 13 may be an outlier.